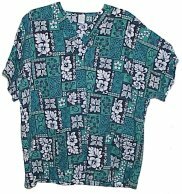 These lovely Hawaiian print nurse scrubs will brighten up any day at the office! 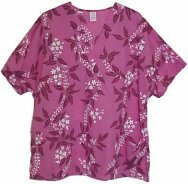 Made from 35% Cotton and 65% Polyester fabric, machine washable. 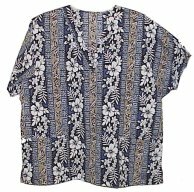 Select from our pretty floral lei Hawaiian prints. Great as gifts. 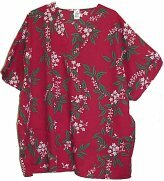 Order online - our price only $16.99!